We are asking you to help defend our NUT Rep Simon O’Hara. 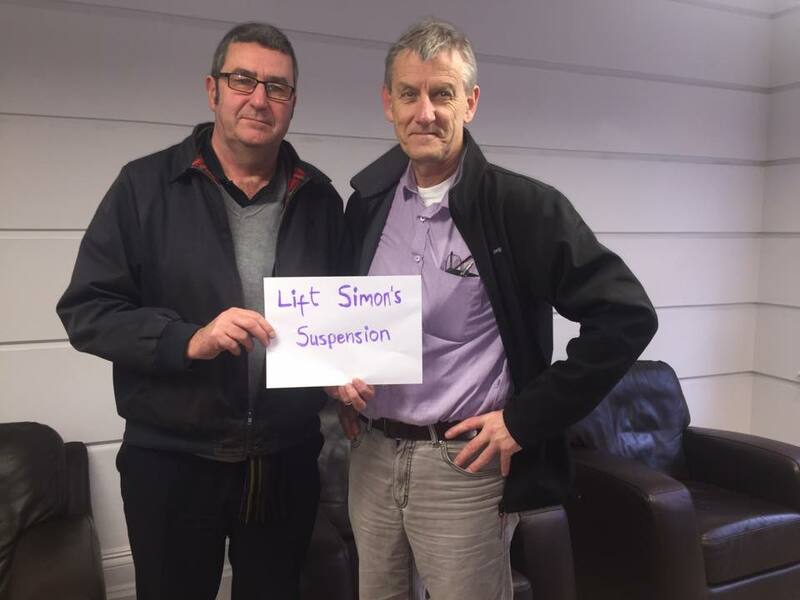 Simon is a long standing teacher and the NUT Rep of Small Heath School, Birmingham. This is a school that has gone from an Outstanding grade to Special Measures in a just over a year. None of this has been because teachers decided that they couldn’t be bothered to teach or because they did not like the pupils. Repeated new managements have been a disaster at the school, yet in the era of school privatisation the threat is that this will be used to turn the school into an academy. 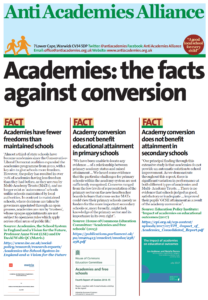 Simon has led the campaign against this, galvanizing NUT members alongside other unions into fighting academisation. Two days after NUT members voted this term to increase their strike action Simon was suspended. We believe that this is a case of trade union victimisation and have begun a campaign to lift the suspension. NUT members there unanimously requested to be balloted for strike action to defend their Rep. 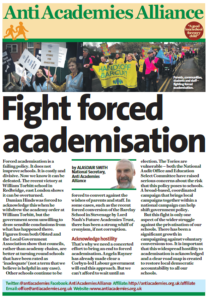 The members will also be taking a very hard hitting campaign against the academy proposals, beginning on Tuesday (19th Jan) with strikes for 3 days a week, every week, for the next 3 weeks. This is a level of strike action that we have not seen in Birmingham for a very long time and there is every chance that we will see attacks from the employer and the press over this. 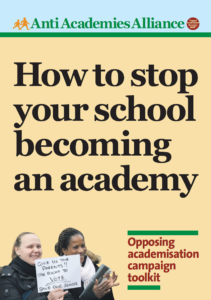 The NASUWT union have also been striking against the academy proposal and will be striking too on Wednesday and Thursday this week. Therefore we need to see support coming in for the campaign against academisation and for the campaign to defend Simon. 1. Sign and share the petition to lift Simon’s suspension and to maintain Small Heath as a Local Authority school. Tweet pictures with the attached posters or your own and send them to @BirminghamNUT, emailbanut@btclick.com or text to 07506894825. You will of course be welcome to visit the picket lines with banners to demonstrate your support. The picket lines on Tuesday will be from 7am -9:30am at the lower school site, Waverley Road, Birmingham B10 0EG. You can also send messages of support to banut@btclick.com. Staff have led a campaign with parents and the community. Can you help? Do you have links with Small Heath or the feeder schools? Do any of your members have links? There will be a public meeting on the first day of the strike at the Bia Lounge, 45-47 Golden Hillock Road, Birmingham B10 0JU and we’d love to see it packed with parents and trade unionists. Contact BANUT atbanut@btclick.com for details or ideas. 5. JOIN US FOR A SOLIDARITY PHOTO SHOOT WITH YOUR BANNERS AT 1PM OUTSIDE THE COUNCIL HOUSE, VICTORIA SQ THIS SATURDAY (23RD JAN). We hope you appreciate how important it is to defend Reps and the ability to participate in unions. This is a campaign we have to win. If we win over both issues it will be because of the courage of members striking at Small Heath. But we all know that their victory could be ours too and would be one felt in Birmingham and beyond. Solidarity is always the best response to isolate and victimise.